Britain has its Racing Green, Italy has its Rosso Coros – or Racing Red. 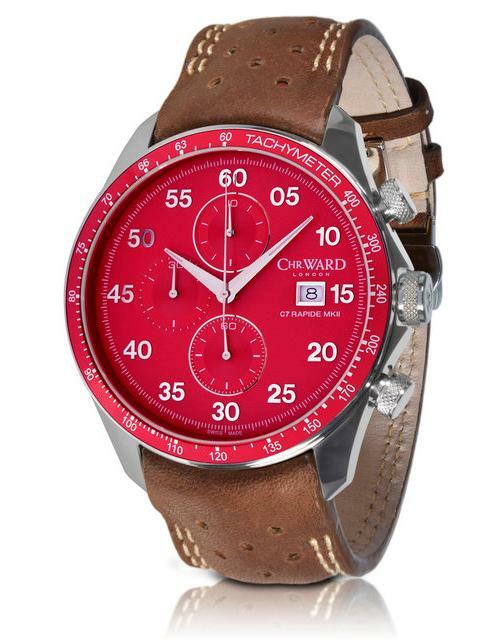 Christopher Ward has just unveiled its Limited Edition C7 IRR Rapide MK II in that exact colour - Italian Racing Red. 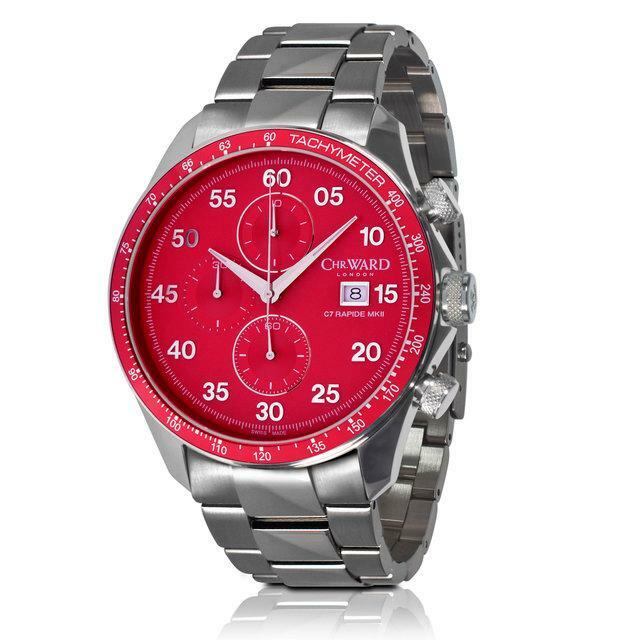 It combines the style of 1950s motor racing watches with the colour that sums up Italy’s passion for motor-racing. The colour was first used in the Coliseum by Gaius Appuleius, the most successful charioteer and, in real terms, the best paid athlete of all time. Racing Red was formerly adopted by Italy in the 1920s by the forerunner of the FIA. The distinctive red has since become synonymous with marques such as Alfa Romeo, Lancia and Ferrari – all of which have raced in rosso corsa ever since. Just the colour of the C7 IRR Rapide MK II in Italian Racing Red is enough to make a Ferrari spring to mind. Add the distinctive design of the three chronograph eyes, inspired by fuel gauges and rev counters, and you can almost hear the roar of the engines! Every detail adds to the sense of motor racing heritage – even the reverse of the watch has an exclusive steering wheel design engraved on the back plate. The watch is powered by a Ronda 3540.D quartz chronograph movement, the C7 IRR Rapide MK II has 1/10th second split timing, a tachymeter bezel and SuperLuminova™ indices and hands. With a 42mm case, the watch is also water resistant to 100m and comes with a choice of a "Toro Bravo" leather deployment strap ($605), a stainless steel bracelet ($682) or a black rubber strap $605.00. With only 500 of the Limited Edition of the C7 IRR Rapide MK IIs in Italian Racing Red, there could be a Ferrari like race to get hold of one when the watch comes on sale in mid March.